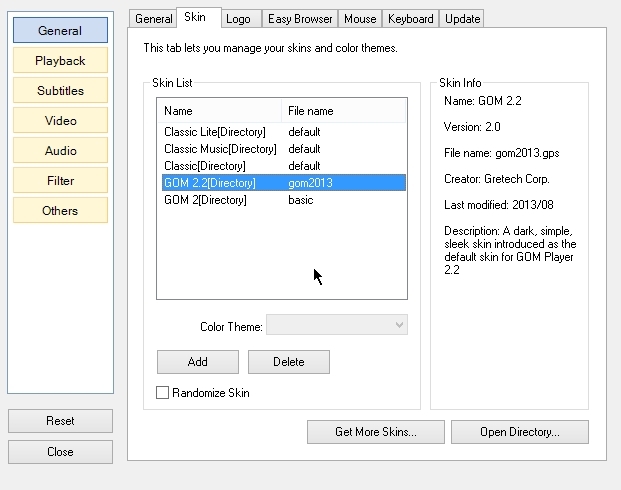 Users benefit from an option for removing tearing, multi-monitor support, color management, On Screen Display info, and various pixel shaders. 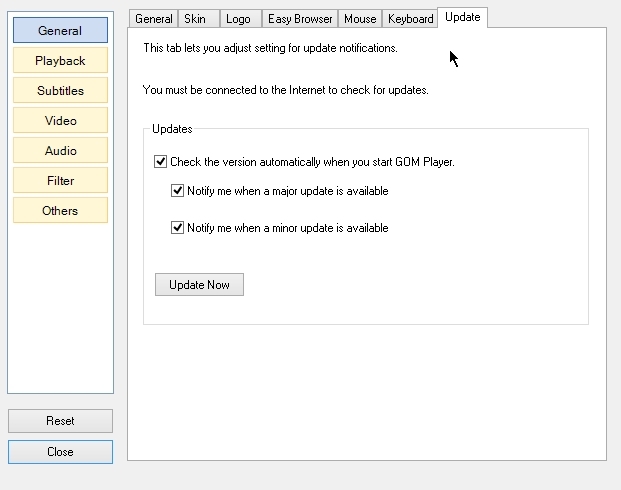 The player is available in 25 languages. 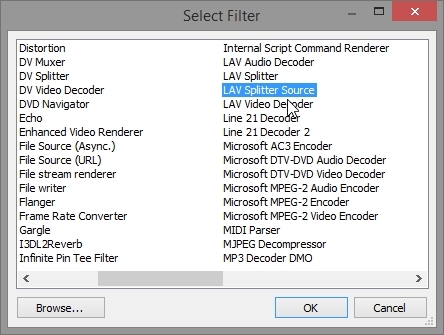 Furthermore, MPC-BE offers improved support for Windows Vista, 7 and 8, 10 due to the 64-bit build; it can play and record television when a TV tuner is installed, it supports most subtitle types and it provides support for EVR/EVR CP. Alterations compared to MPC–HC include added, changed and fixed features. 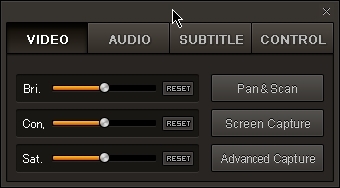 For instance, added features are the support for opening CUE format files, support for displaying subtitles from stereoscopic pictures, VSFilters. 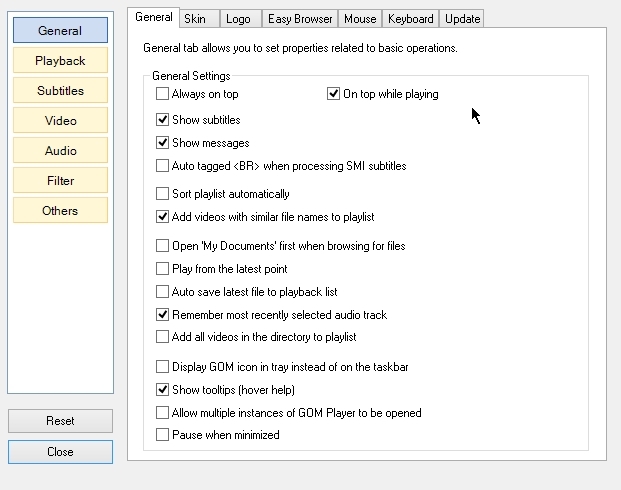 Changes include handling of AC3 packets, the possibility to move subtitles during playbacks and the folder of the last opened file being selected for saving playlist. 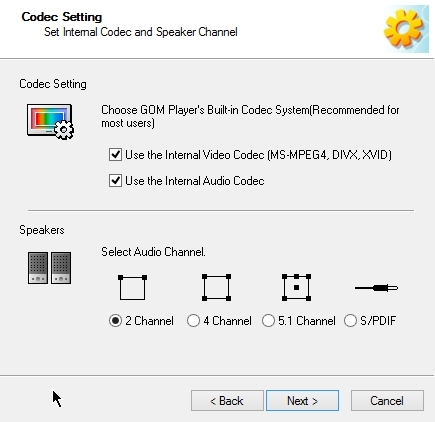 Many features have been fixed as well, and bugs like crashing when the user tries to search for a video decoded by the external decoder have been eliminated. 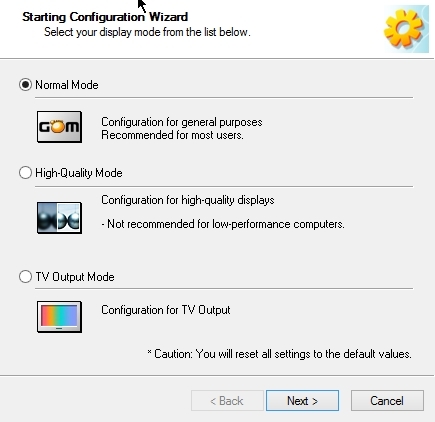 The system requirements of MPC–BE are a SSE capable CPU and the latest DirectX 9.0c runtime. Overall, the interface and the user experience have been greatly improved compared to its predecessor. Both 64 bit and 32 bit available. So make sure download the correct one. 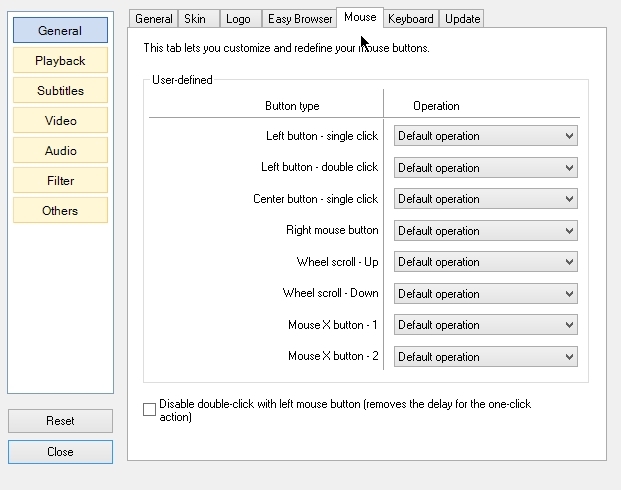 Under “Open options” “New process for every file ” can be used to start multiple windows of MPC BE. 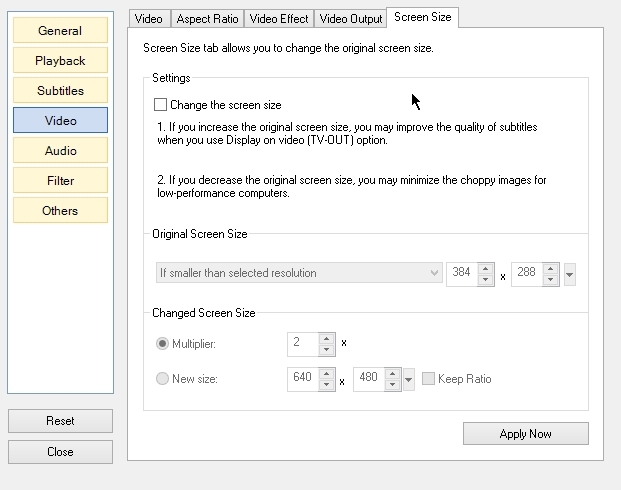 Very helpful if you want to play multiple video at once. Formats allow user to associate media files with MPC BE. 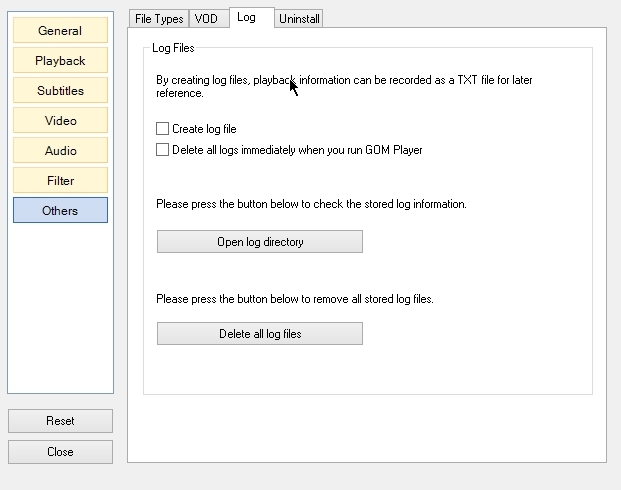 It causes media files to be opened with MPC BE by default. 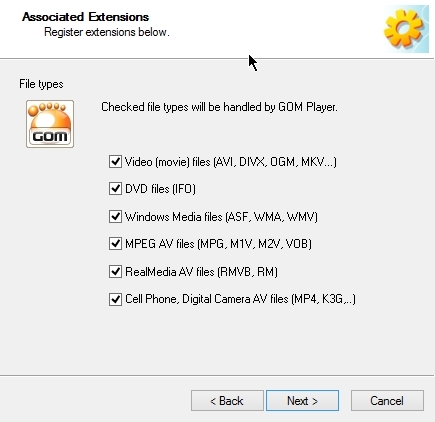 You need to tick next to the “File extensions” which you want to associate with MPC BE. Windows 8 OS users will see this window . 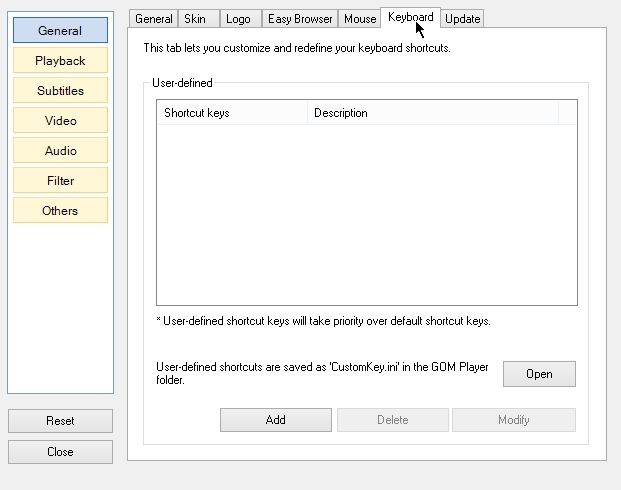 Keys shows all the shortcuts that can be used in MPC BE to run certain associated command. Logo of MPC BE can be changed using an external image file. In Playback the no. of times in “Play” tells how many times the files in playlist has to be played. 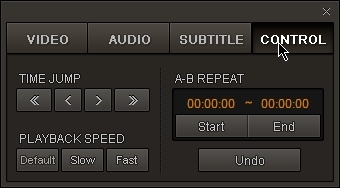 Selecting “Repeat forever” will cause the files in playlist to be repeatedly played without stopping. 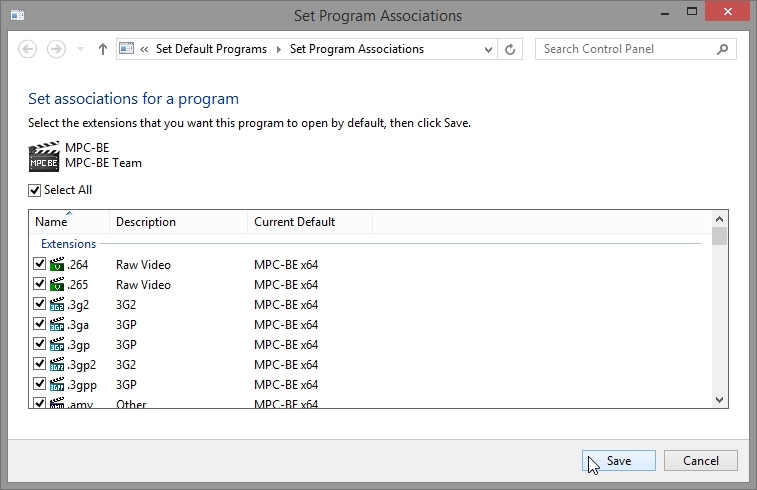 Youtube settings lets user set the video resolution which will be played when a user opens youtube video URL using MPC BE. 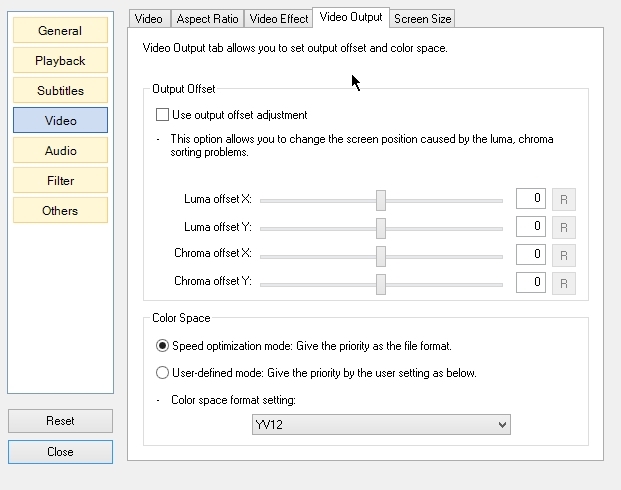 Color correction lets user increase/decrease the Brightness, Contrast, Hue, Saturation of the video being played in MPC BE. Generally saturation of most videos is increased by the content creator causing it to look more colorful. I recommend to set Saturation to “-25” to get more realistic color saturation. You may set Saturation to “-50” to get realistic color saturation which will show you the true color of the scene that was captured. 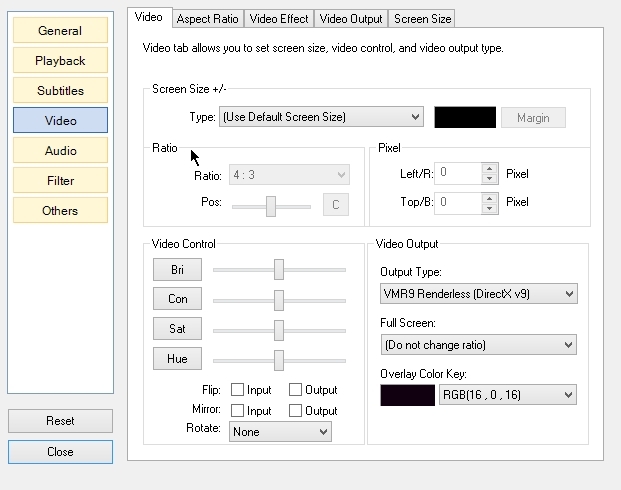 But you may not like this setting because color will look dull and you are used to seeing high saturation color in videos. 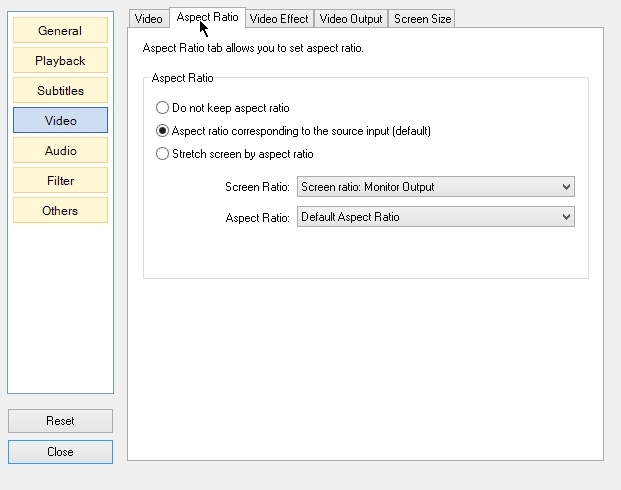 Ticking “Launch files in fullscreen” will cause media files to be start playing in full screen mode when you run it. Sometimes you play a media file which has very low audio. 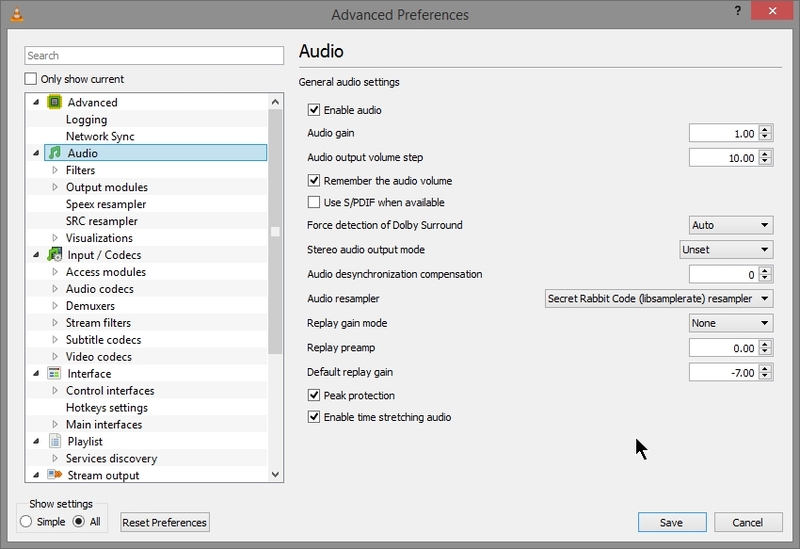 To increase the volume of audio in such media files you can tick “Auto Volume Control“. 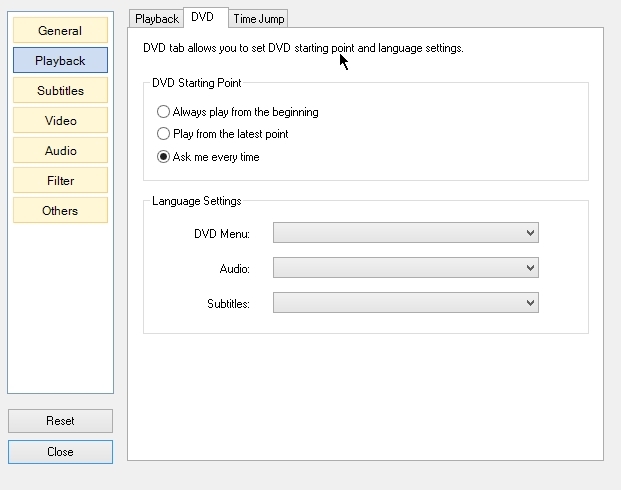 To do custom subtitle placement tick “Override placement” and set the horizontal and vertical position of the subtitle . 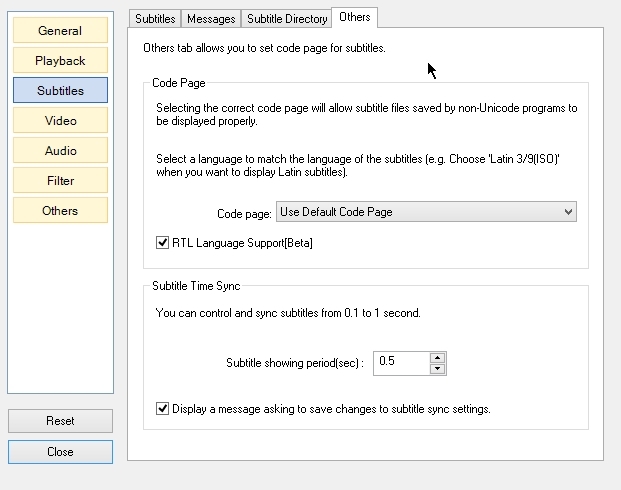 Here you can do various settings on the font, alignment and theme of subtitle. 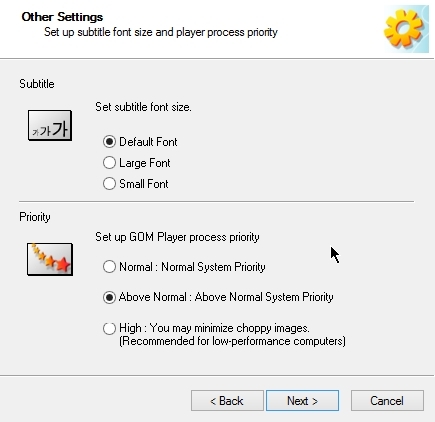 Increasing Font Spacing causes the spacing between letters of subtitle shown in screen to increase. Font angle changes the angle of subtitle shown on screen. Scale x and scale y scales the size of subtitle shown on screen. 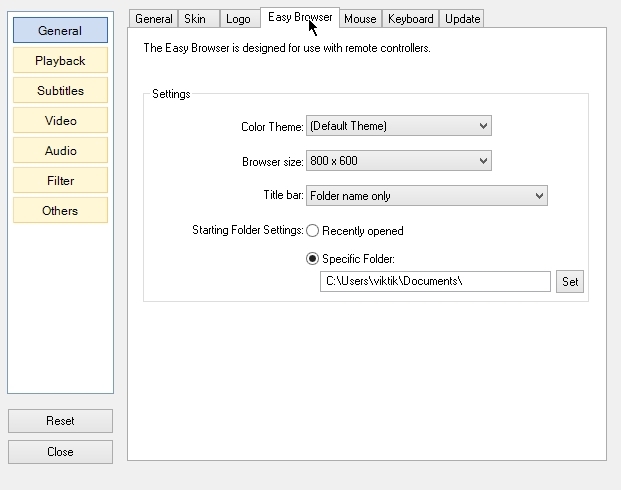 Border style setting lets user set the border theme and width. Screen alignment & Margins let user set the alignment of subtitle in screen. 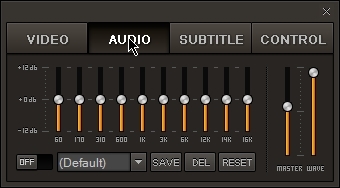 Setting of margin can be done next to “left” , “Right”, “Top”, “Bottom” which will set the distance at which subtitle will be shown from the left, right, top, bottom edge respectively. 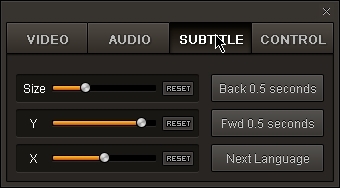 Colors & Transparency settings lets user set the color of the subtitle, its outline and shadow. It also lets user set the transparency of he subtitle, its outline and shadow. 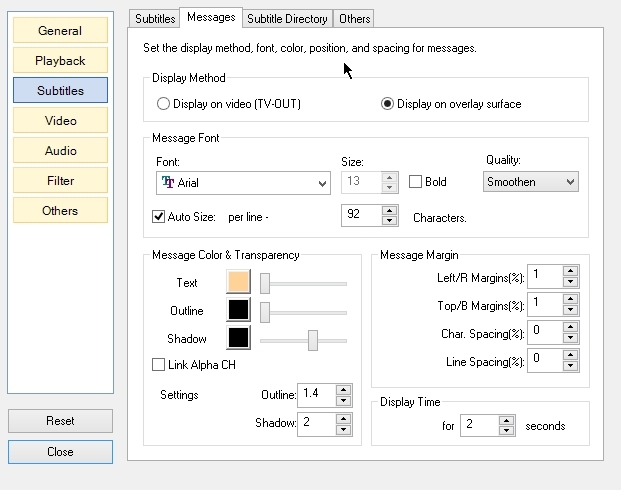 Click just below “Font’ to select the font type, font style and font size of the subtitle shown on screen. 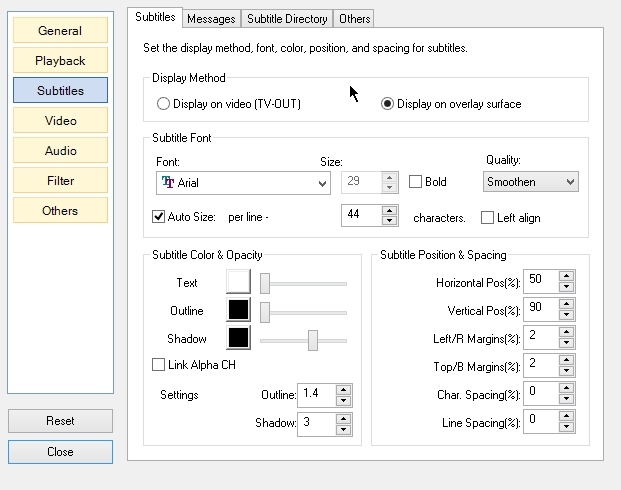 Here you can select the the font type, font style and font size of the subtitle shown on screen. 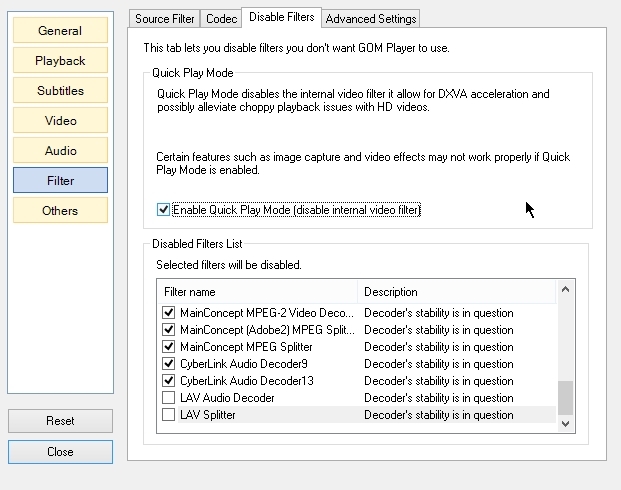 The filters that has been ticked will be used by the MPC BE to split and decode media files. If filter or decoder has been unticked then MPC BE will search the codecs installed in the system to play that media file of that extension. 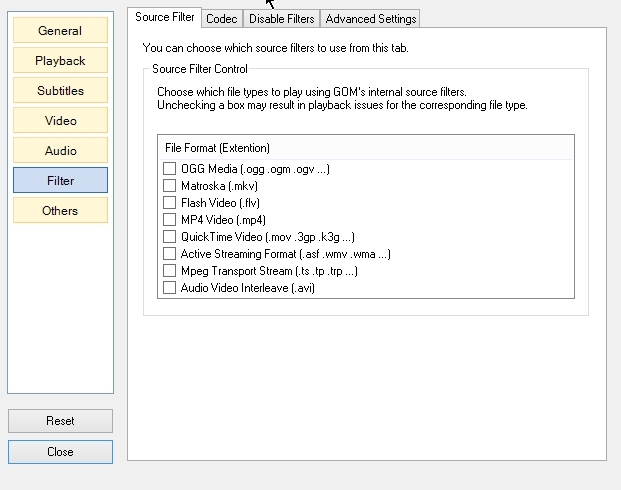 External Filters lets user add external filters and decoders installed in the sytem to be used by MPC BE. 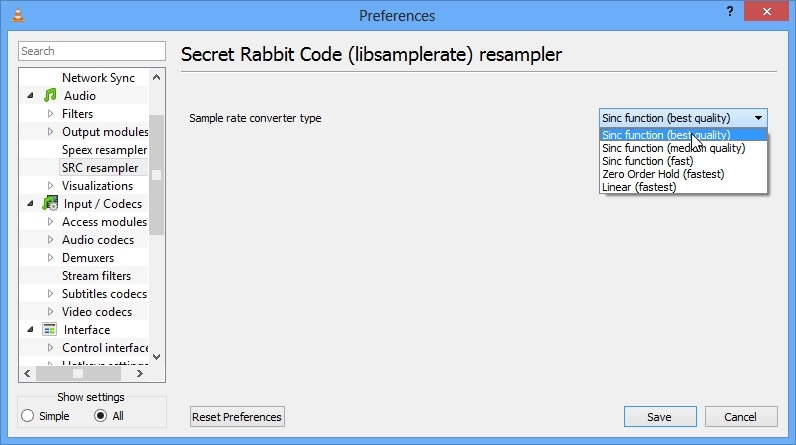 Select “Prefer” for a decoder if you want MPC BE to use & prefer that decoder to decode media files. 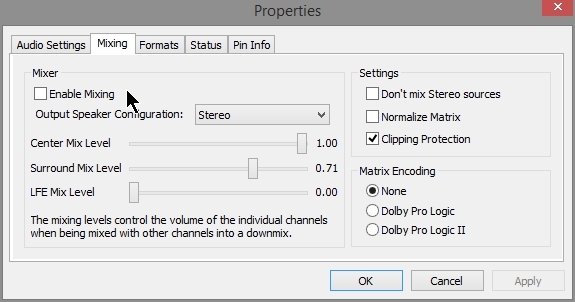 Select “Block” for a decoder if you want MPC BE to not use that decoder to decode media files. 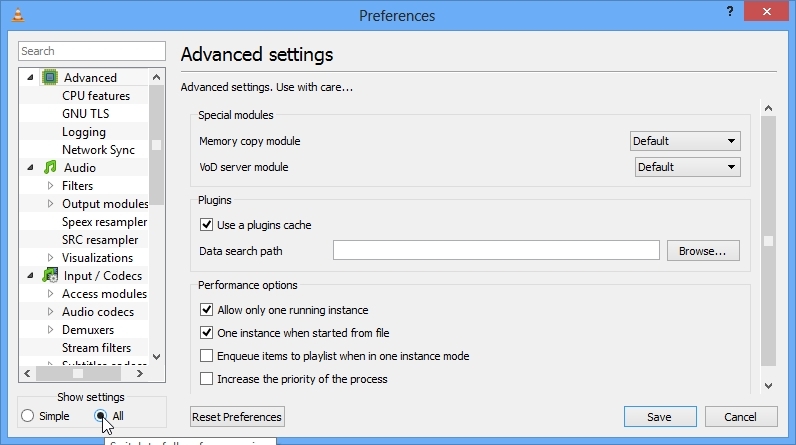 Settings management let user reset to default settings. Export button can be used to save the current settings in a file. 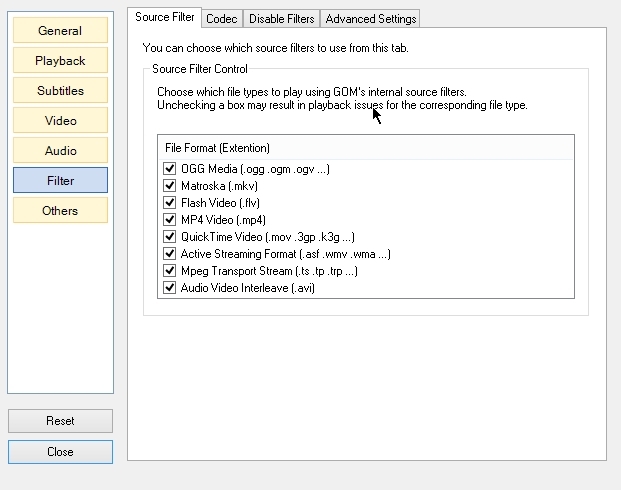 If you are experiencing bad video playback ( Computer has slow GPU) then try disabling DXVA filters as shown below. 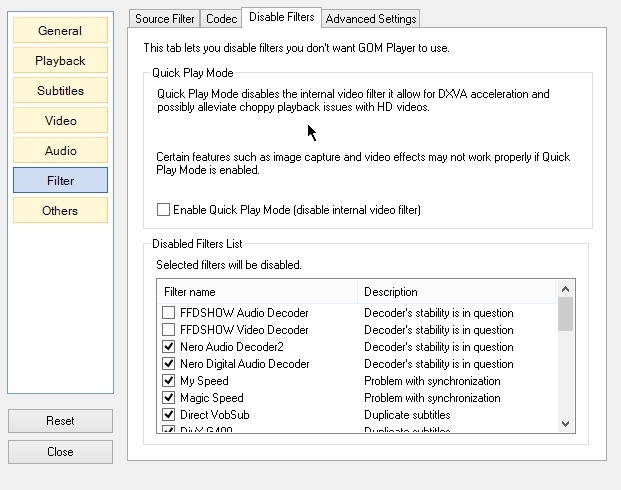 Right click and and click “Disable DXVA filters” as shown below. First Install external filter . Here i am using LAV filters. 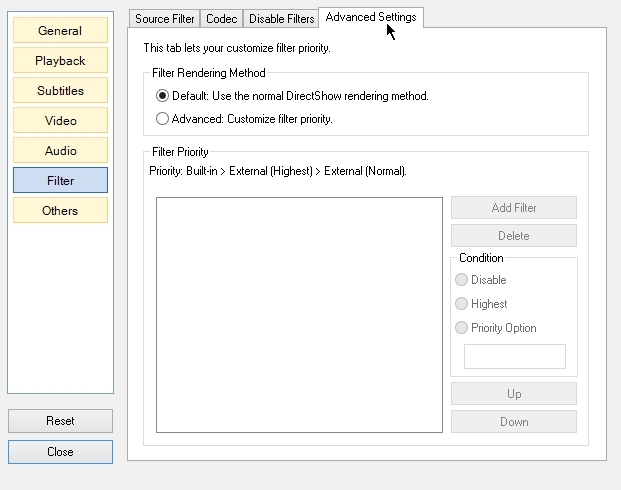 Click “Add Filters” as shown below. Select each one and set “Prefer” as shown below. 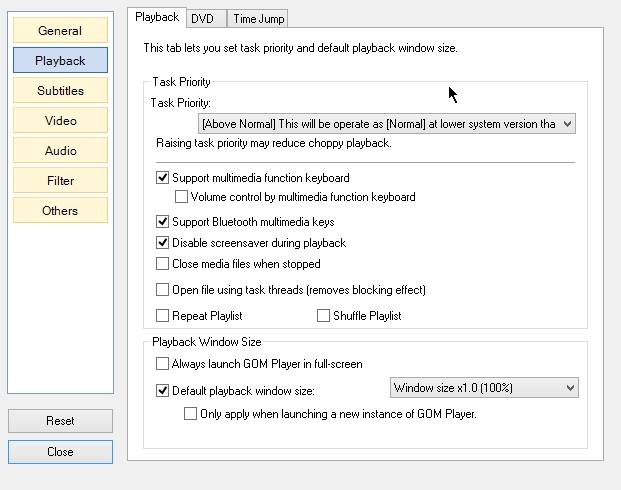 You can use MPC BE to play multiple media files at same time. Light Alloy – is a compact multimedia player. It supports all popular multimedia formats. It is very easy in use but at the same time has lots of configuration settings. 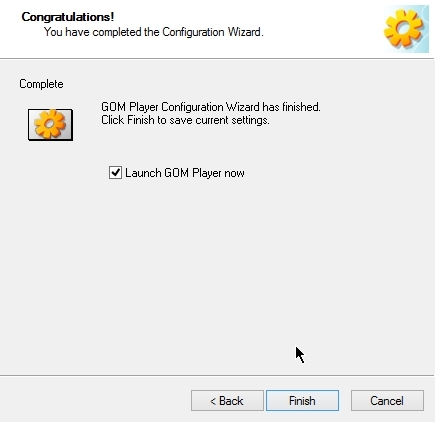 Player is optimized for quick launch and minimum load of the system resources. You will love this media player. You may configure it as you like. 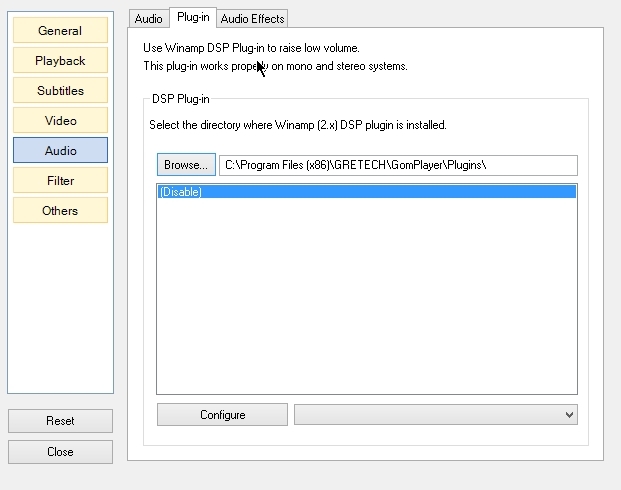 Support EVR video playback and WASAPI audio playback. 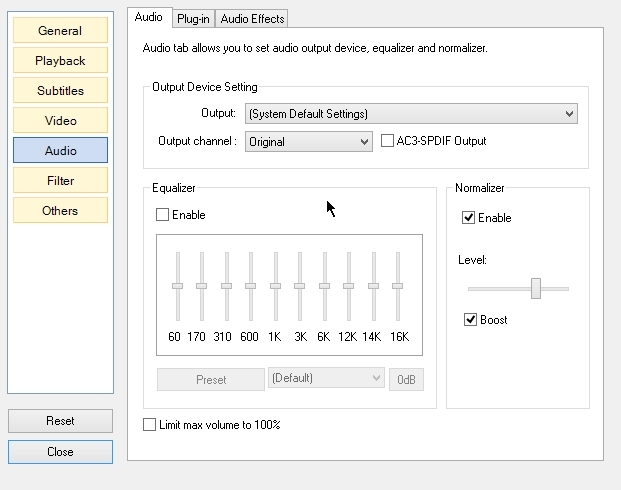 You may want to uncheck “Default playback windows size”. 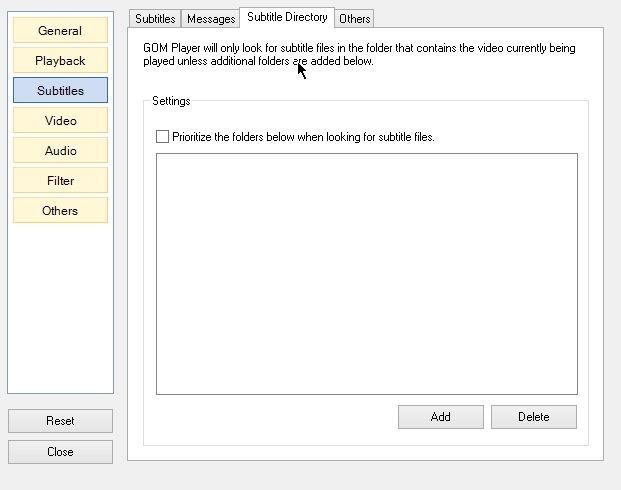 this will stop resize of gom windows every-time a video is played. 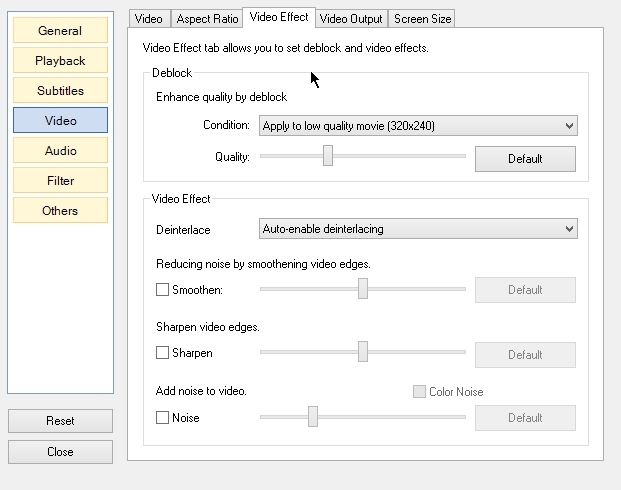 Windows 7, 8, 8.1 users must select “Enhanced video renderer” for “output type“. 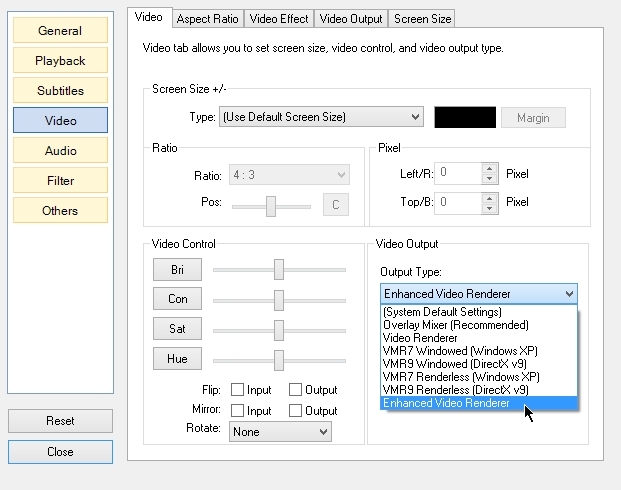 Windows XP user can use “Enhanced video renderer” only if they install .net framework 3.5 or 4. First you need to install some external filter and codec. 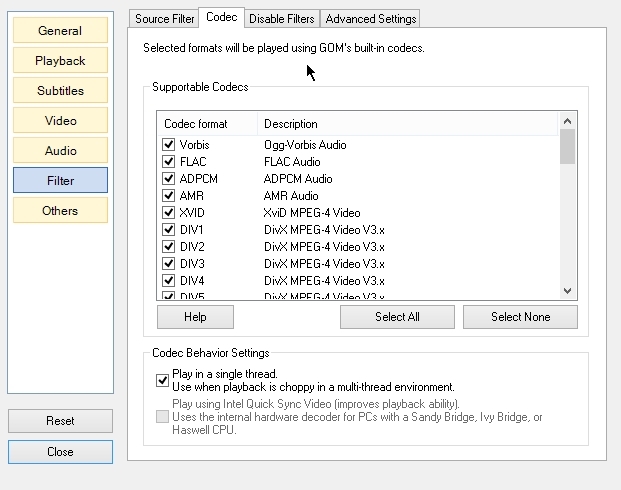 I recommend klite codec pack basic. Uncheck all under “Source filter” in Filters. 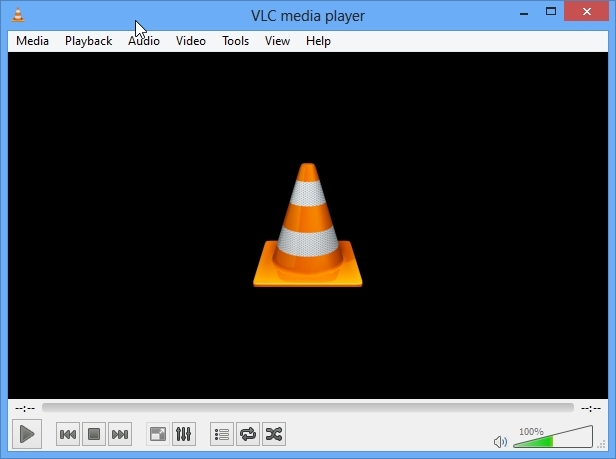 VLC is a free and open source cross-platform multimedia player and framework that plays most multimedia files as well as DVD, Audio CD, VCD, and various streaming protocols. 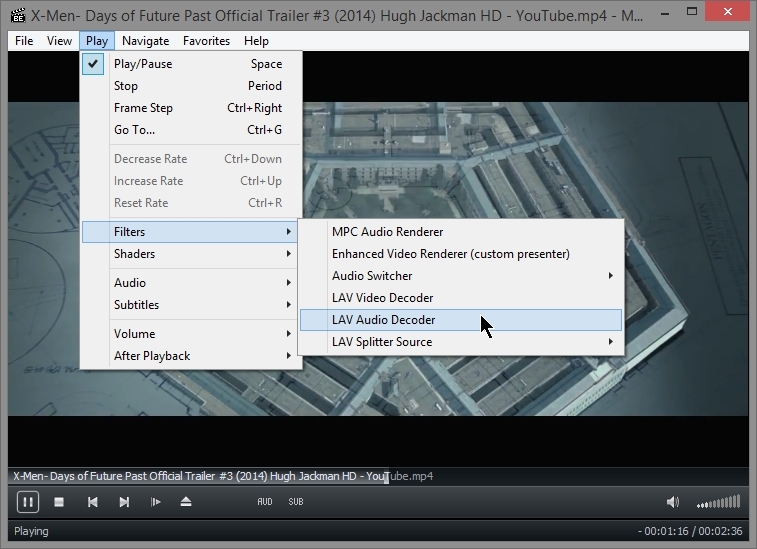 64 bit version of VLC is fast and more responsive. 64 bit version is new and may crash sometimes if you try to customize it . No doubt VLC is most feature rich media player. 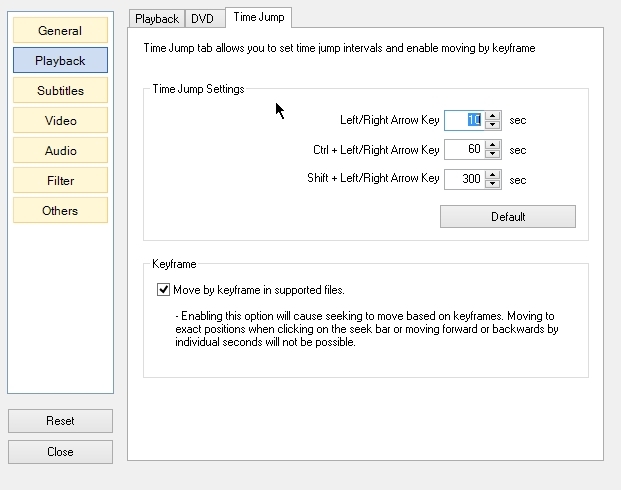 If you would like you can change some settings of VLC. 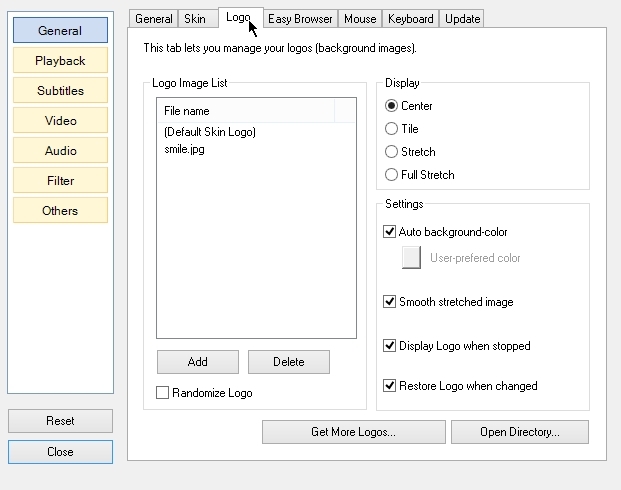 For that open preferences from Tools tab. Tick on”Allow only one instance“. 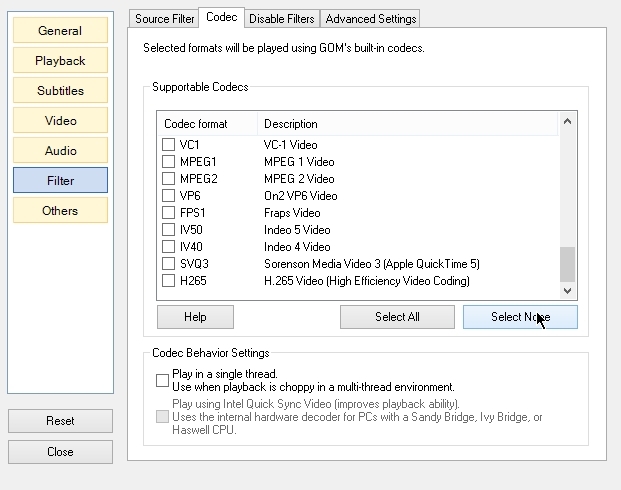 If you have Intel Ivy bridge/Haswell/Broadwell processor OR AMD APU OR graphics card from AMD/Nvidia then you can do this setting. Tick on “Use GPU accelerated decoding“. Click on “All” in “Show Settings“. 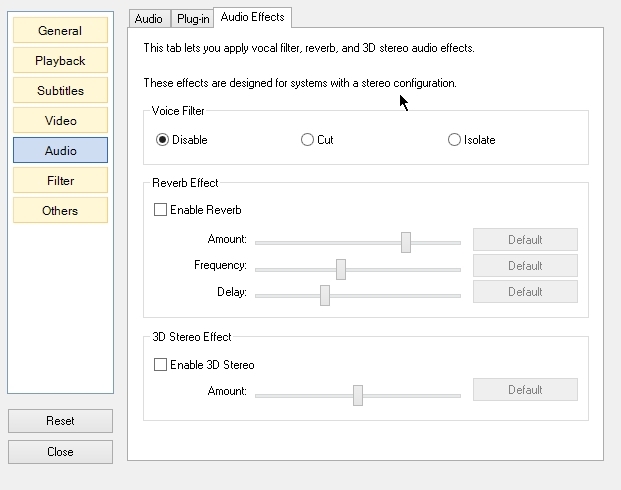 To increase the audio quality do as shown below. Go to Audio->SRC resampler. Select “Sinc function(best quality)“.